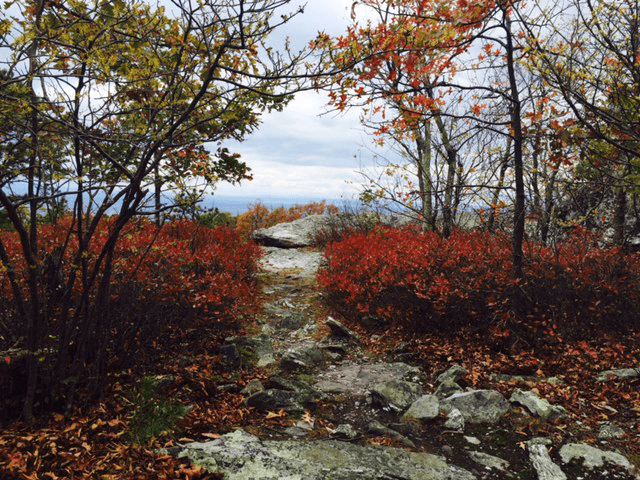 In a Nutshell: Though the oft-blogged beach vacations are all well and good, sometimes you simply want to explore a different kind of landscape, one with rolling green hills — and lots of wine. 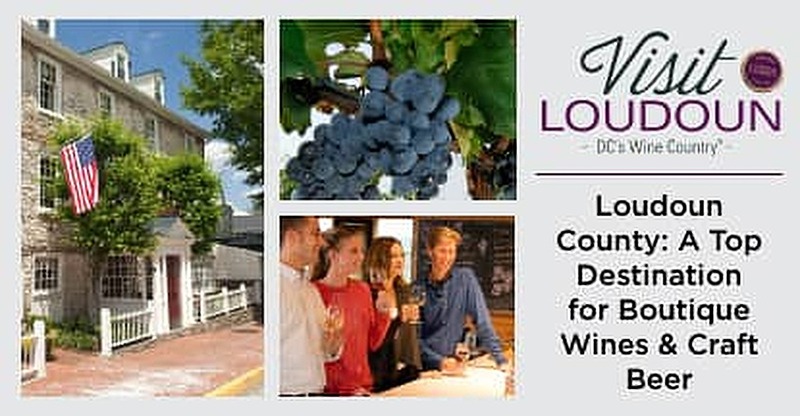 Known as DC’s wine country, Loudoun County is the perfect place to cash in some credit card rewards for a picturesque weekend away. Home to 40 boutique wineries and dozens of local breweries, Loudoun has made a name for itself as a must-visit craft beverage destination, but that’s not all it offers. Framed by the Blue Ridge Mountains and the scenic Potomac River, Loudoun also offers something for nearly any outdoors lover. And you can explore it all while touring historic towns and estates that preserve their centuries-old legacies. Whether you’re a credit card rewards churner or just a regular cardholder looking to cash-in on your hard-earned points, redeeming your rewards for travel is almost always the most valuable way to redeem. But while travel blogs are often full of island getaways, not everyone daydreams about itchy sand beaches and 95-degree weather. Some people would rather absorb a little culture than catch some rays. It’s folks interested more in doing more than lounging waterside who flock to places like Washington, DC, each year, many of whom land in Washington Dulles Airport on their way to the nation’s capital, excited to gawk and gander at its monuments and history. But what those tourists may not realize is that they’re actually passing right through what may be an even better vacation destination: Loudoun County. Instead of taking the 20-mile journey into Washington, DC, those who take the time to explore Loudoun can enjoy a bucolic agricultural landscape dotted with boutique wineries and craft breweries rich in local flavor, as well as the opportunity for a range of outdoor activities, all while exploring historic Virginia. While most people picture the iconic Napa Valley when they think of wine country, you don’t need to travel all the way to the West Coast to enjoy an idyllic wine-tasting weekend. Loudoun County is DC’s Wine Country, offering dozens of vintages unavailable anywhere else. 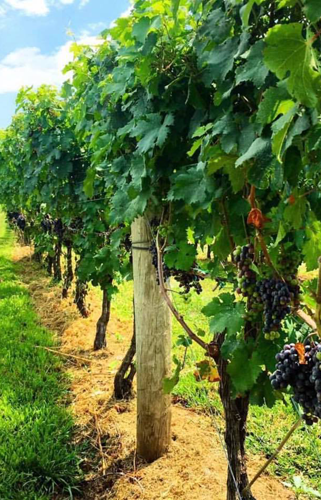 Loudoun County is home to 40 boutique wineries offering unique local vintages. It’s the exclusivity of many of the wines that make the experience truly one-of-a-kind — but don’t think you’ll be limited to the same handful of flavors. The area’s diverse landscapes also mean a lot of diversity in the soil, giving local winemakers a range of grape varieties with which to work. And while Loudoun may be home to many smaller, family-owned wineries, you won’t miss out on that elegant Napa Valley feel. Particularly at the height of harvest season when all the vines are heavy with fruit. Although Loudoun’s wineries have been making a name for themselves for decades, the county’s growing craft beer scene has only recently started to gain momentum, thanks in part to changes in local regulations. 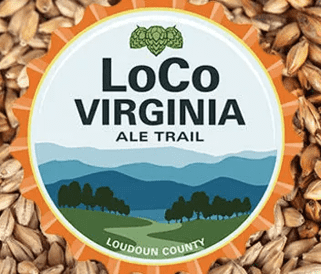 Visitors can head to VisitLoudoun.org and download a handy LoCo Ale Trail Pocket Guide, a comprehensive map identifying more than 24 local breweries and grouping them into easily managed tours to help you make the most of your trip. Those who want to maximize their craft beer adventure may want to plan for an August trip so they can visit during Virginia Craft Beer Month — which includes the 2018 Beer Bloggers & Writers Conference this year. Having a hard time choosing between stopping by your favorite winery or taking a stroll along the Ale Trail? You may be able to get the best of both worlds, as some of Loudoun’s wineries have joined the brewery bandwagon, incorporating breweries into their farms and vineyards. One of Loudoun County’s dozens of local craft breweries, Quattro Goomba’s Brewery is located next door to the company’s winery. “While they currently need to be in separate buildings, you can often visit the brewery, then travel a short way to the other side of the property and you’re in the winery,” explained Jennifer. Of course, no matter how great the wine or beer, there’s only so much drinking one can usually manage. When you’re ready to take a break from the booze, you can take advantage of Loudoun’s unique geography as you explore the outdoors. Whether you like to kayak, hike, or horseback ride, Loudoun has something for you. 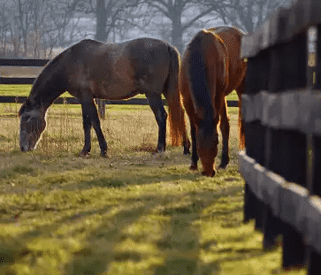 And for those looking for some horse-related fun in the great indoors, Loudoun is also home to the National Sporting Library and Museum, which tells the story of sporting life through books and art. While the National Sporting Museum may not be to everyone’s taste, it’s only the tip of the proverbial iceberg when it comes to the history abundant in Loudoun — as one might expect from a destination just a stone’s throw from the nation’s capital. 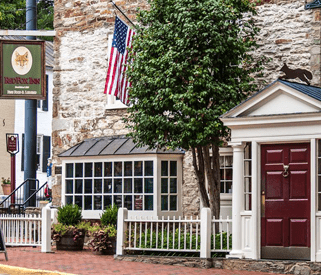 Loudoun County is home to more than a dozen towns and villages that still retain their historic charm. To start, the county is home to more than a dozen towns and villages, many of which have preserved the look and feel of their historic lineages. You can stroll idyllic avenues, visit dozens of boutique shops and restaurants, and explore local art galleries, all within a short distance of your favorite local winery or craft brewery. Another good way to explore Loudoun’s past is to tour one of its many historic estates. The 200-year-old Oatlands Historic House and Gardens, for instance, boasts many original buildings and an elaborate English terrace garden that blooms in the springtime. Stop by in the afternoon to enjoy tea in the historic carriage house. And speaking of carriages, don’t forget to stop by Morven Park to explore the Winmill Carriage Museum. Home to 40 antique coaches, carriages, sleds, and carts, the museum boasts a miniature road coach once owned by General Tom Thumb of the Barnum and Bailey Circus and a calèche used on film by Grace Kelly. After touring the museum, be sure to stick around the estate for a look at the historic Morven Park Mansion, a 240-year-old home that once belonged to governors from both Maryland and Virginia. The well-preserved rooms house a variety of antique furniture and artwork, including a beautiful collection of 16th-century Belgian tapestries. Although there’s no doubt that Washington, DC, offers a lot for tourists to explore, more and more people are eschewing the hustle and bustle of the big city for the bucolic escape of Loudoun County. Not only does Loudoun offer a vibrant craft beverage experience, but it also offers plenty for outdoors lovers and history buffs to enjoy. But it’s not only Loudoun’s entertainment and attractions that make it a great vacation destination. It also provides a wide range of accommodations to cater to nearly any budget, including everything from the quaint bed-and-breakfast to the luxury resort. In addition to the expected hotels and B&Bs, Loudoun is also home to two high-end resorts, including the Salamander Resort & Spa. And getting to Loudoun is, of course, quite simple; the county is home to the renowned Dulles Airport, through which millions of DC tourists travel every year — so you may have already been to Loudoun without even knowing it.